Upon TAG reaching out in 2012, Ms. O’Neil’s personal network chimed in with advice that, in her words, was mainly ill informed and negative without real information and details. So she did her own due diligence with the help of a lawyer and land valuer. 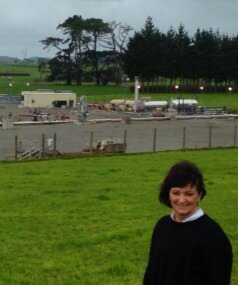 She met team members from TAG’s New Plymouth office and walked the farm with our managers, engineers and geologists to really understand the process and impact.